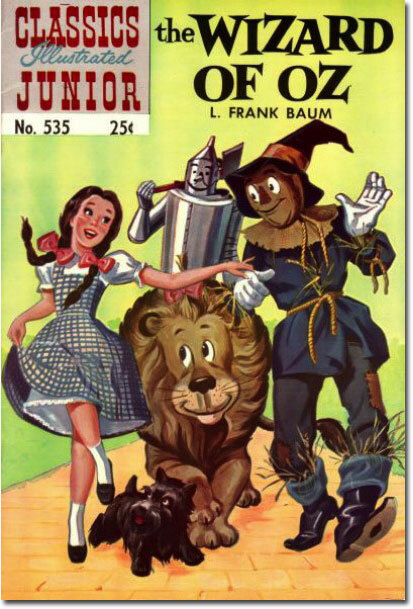 On this very day in 1856, 155 years ago, long before me or you were born (well, me at least), was born L. Frank Baum, the very first (but never the last) Royal Historian of Oz. 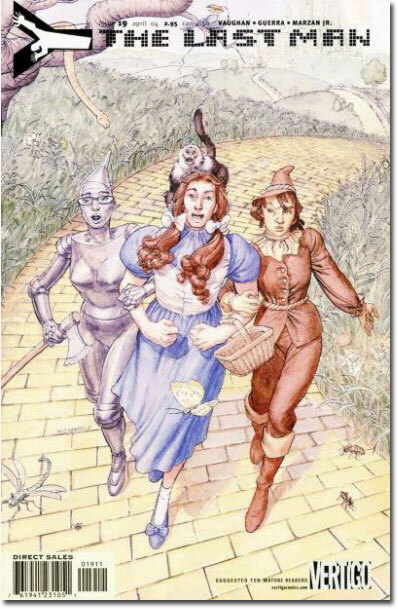 Presenting the premiere Oz adventure in 1900 with the classic The Wizard of Oz, Baum produced 14 Oz novels plus several dozen other books, poems, stories, and plays, as well as becoming a movie studio owner, producer, and screenwriter. 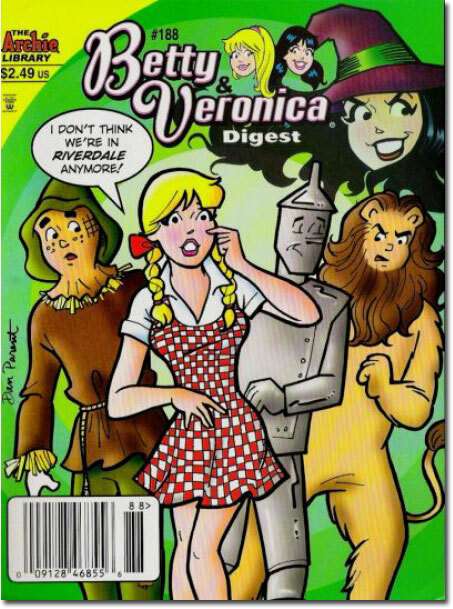 You may never have heard of Gerald Winston Bey, Louise Merrick, Elizabeth De Graf, and Patsy Doyle, Phil and Phoebe Daring, King Bud, Rob Joslyn, or Prince Zingle, all characters from his non-Oz booksbut you probably know Dorothy Gale, her Auntie Em and Uncle Henry, the Scarecrow, Tin Woodman and Cowardly Lion, the Wicked Witch of the West and Glinda, the Good Witch, and the humbug Wizard of Oz. 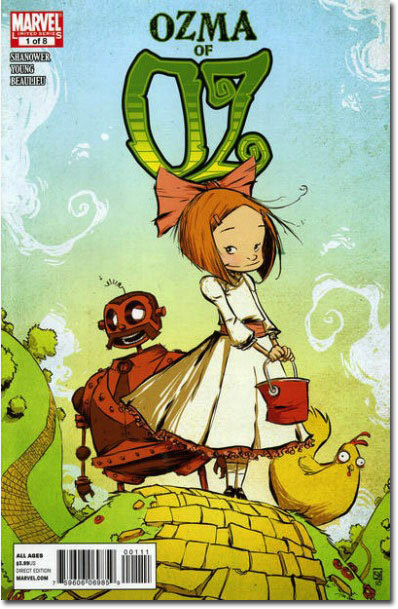 You might not know the Gump, Professor Wogglebug, the Hungry Tiger, Tik-Tok, the Woozy, Button-Bright, the Nome King, the Frogman, Cap'n Bill and Trot, Bungle the Glass Cat, Scraps the Patchwork Girl, the Shaggy Man, Billina the Hen, or Professor H. M. Woggle-Bug, T.E.all characters created by Baum in later Oz novels, among some of the great fantasy characters of childrens' literature. 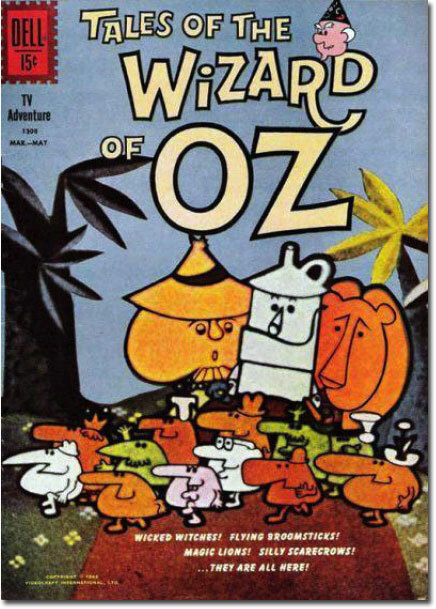 Baum wrote fourteen Oz books (other authors continue the series from 1920 through today)set's celebrate Baum's Oziversary with a Ten of a Kind that features fourteen comic book covers referencing, celebrating, or homaging that magical, rectangular, five-colored country called Oz. This book, sadly, belongs, like Jack Kirby's The New Gods #12-300, 'Mazing Man #13-50, NextWave: Agents of H.A.T.E. #13-200, The All-New Atom #26-1,000,000, or Thor the Mighty Avenger #9-12, to the Pantheon of Comics Cancelled Before Their Time. 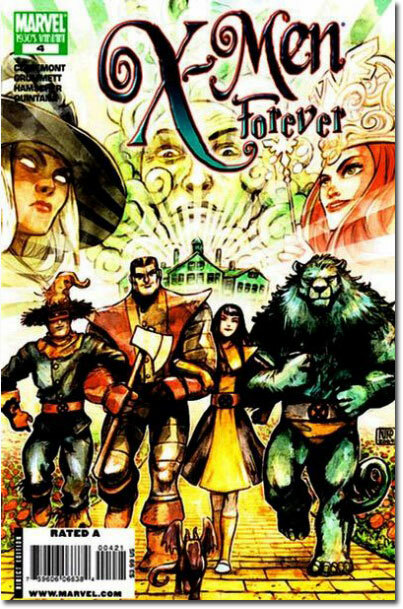 You can find the story behind the cancellation of the fully-completed Ozma of Oz in an Oz discussion forum with contributions by good Bully-Pal Eric Gjovaag and some authoritative discussion by Oz scholar, artist, and writer Eric Shanower. What? 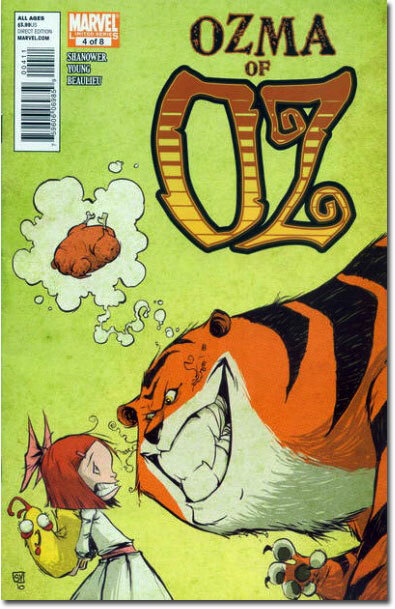 You want more Oz-related comic booky goodness? Well, then check your common sense and canon at the door (don't lose your claim ticket!) 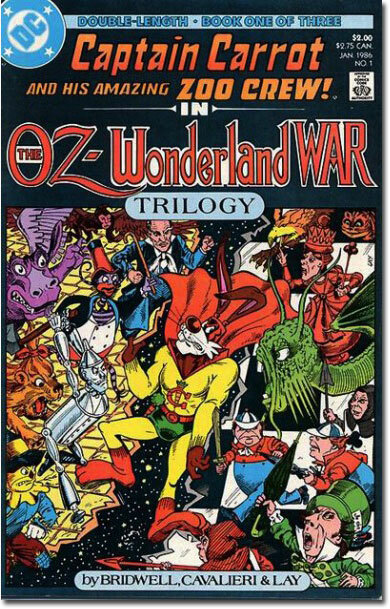 and cast your peepers at the The World's Greatest Super Friends stranded on "The Planet of Oz"! Oooooooookay. 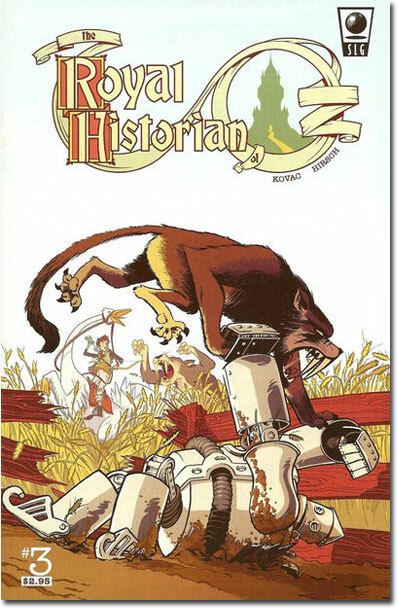 Anyway, Happy Birthday to the very first Royal Historian of Oz, Mr. L. Frank Baum! And may your journeys always end with a happy return home! Want more posts about Oz? Sure, we all do! 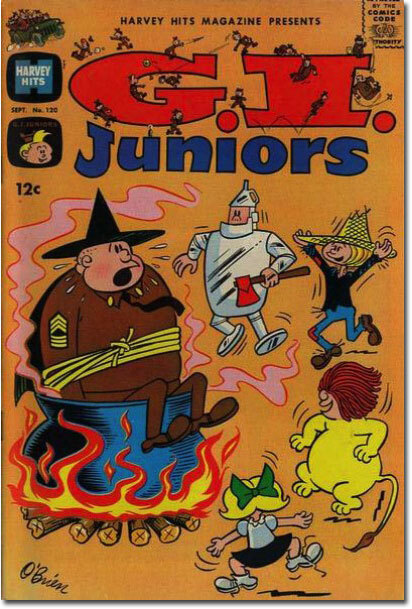 See this one about Captain Carrot in Oz. And here's a page of Eric Shanower's Oz-Pastiches of famous comic book illustrators! 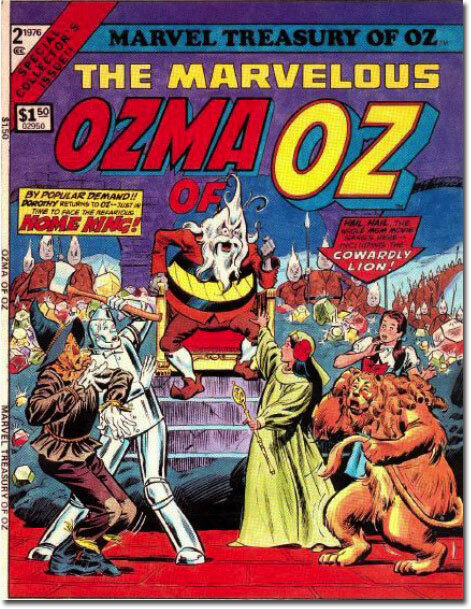 And wouldja believe...Ben Grimm in Oz? 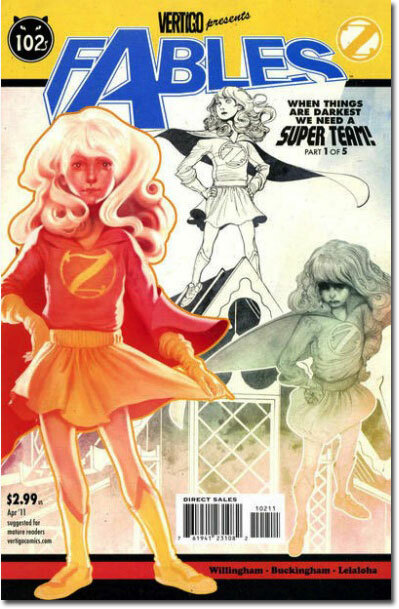 I think there was also a Legion annual, an Elseworlds one, that was all Ozzed up. Ah, my little stuffed friend, this is a wonderful little post you have for today. Thank you. Believe it or not, I have all of these comics (and, yes, Matthew, I also have the "Legion" annual). 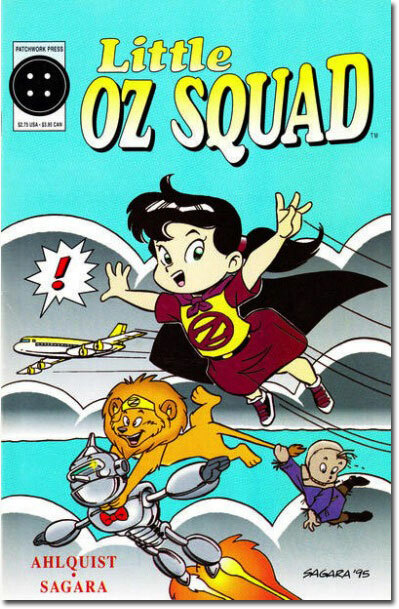 I even have a Golden Age comic book where Mary Marvel goes to Oz! 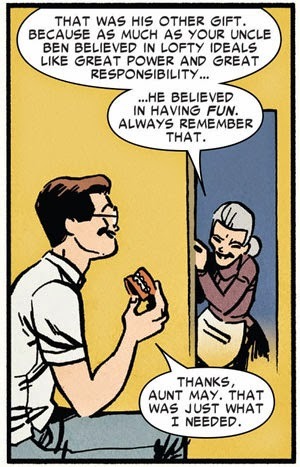 Maybe he should change his name to "Murder-Man."